Near the end of February and into March, the herring congregate and spawn near the beaches of the east side of Vancouver Island. The arrival of the herring means the beginning of the fat time for other animals who look forward to eating well, after a hard winter. Here, in a photo taken by one of my neighbours Paul Knettig, the seagulls and eagles await the arrival of the herring. But the eagles are not above preying on other guests at the same dinner table. Among the many seabirds who also enjoy the arrival of the herring, are the loons. It seems that loons are one of the favourite foods on the eagles’ menu. Here are the wing bones and a few feathers of what I believe was a common loon. I found this wing under a tree in my yard. Here is a close up picture of it. Now, aren’t those feathers similar to the wing feathers of this loon in the photo below (taken a few years earlier). I had picked up the pieces the eagle had dropped from a tall fir tree in my yard, and put them together again in the shape they might have been in. With dead herring lying around on the beaches, the eagles are eating well, but they still prefer to bring their food to a safer spot to be eaten. Sometimes they get clumsy and drop things. That’s why I found a herring head under this same tree where I later found the loon. Thinking I would write about it in a blog post, I picked up the herring head and put it in the empty wheelbarrow for safekeeping until I could go get my camera. Alas! When I arrived with my camera, the herring head was gone. And Emma’s breath had a distinctly fishy smell. Categories: Animals, B.C. coast, British Columbia, Commercial fishing, Dogs, Eagles, English cocker spaniel, Herring, Outdoor Activities, Seagulls | Permalink. In the city of Olympia, Washington, the state capitol building looks over an inlet that is so far back from the ocean, you would think it’s a freshwater lake. Beside that “lake” is a well-cared-for park and walkway. But it was chilly here last week when I visited here. With the cold snap that hit the western Washington area, you had to pick up the pace if you wanted to keep warm. The grasses at the water’s edge tell the story. It’s darn cold. I’m sure there’s a rule about not feeding the birds, but obviously people have been feeding them. Why else would birds congregate near the shore with people so close by? For that matter, isn’t that seagull getting awfully cozy with the people in this photo? I’d say they’re quite used to being fed. Still, I once saw a family feeding ducks in a park, and I wondered if the Cheezies the ducks consumed would shorten their life. It can’t be good for them. The hen mallard has two drakes fussing about her. Lucky girl. These ducks are so common to the west coast I hesitated to post this very ordinary photo, but their plumage is magnificent just now. I thought they deserved to be shown off. Maybe I’m wrong about the Cheezies. Categories: Animals, Ducks, Seagulls, U. S. A., United States, Washington | Tags: duck plumage, mallards, Olympia, park, walkway | Permalink. The Education Building in Olympia, Washington, looked to me like a castle where Sleeping Beauty might reside. On the lawns in front of the building is a monument to a man who was twice governor of Washington. He must have been a good man. Read the inscription and see if you agree. I think he deserved to have his statue in this place of honour. Well … some things are just beyond your control, and Mother Nature has the last hurrah. Categories: Seagulls, U. S. A., United States, Washington | Tags: education building, inscription, monument, Olympia, plaque, statue | Permalink. Andrea, in my novel The Wind Weeps, asks the skipper, “What’s a teredo?” as she is about to powerwash his boat’s hull. For those of you who don’t know, it’s a type of saltwater clam several centimers to a meter in length that looks like a worm, hence the name “shipworm.” Teredos are the bane of wooden boats because they love to bore into the wood, and if not controlled, they will eventually destroy the hull. This is one of many reasons fishermen have their boats hauled out of the water once a year to work on the hull. The boat below hasn’t been hauled out or worked on for a long, long time. How is it still floating? Since this photo was taken a long time ago, my guess is that it’s not floating anymore. In places where the modern conveniences of a shipyard are not available, fishboats were often taken out of the water by placing them, at high tide, over a grid of timbers or a cement slab on which the boat would settle when the tide went out. As soon as the tide ebbed and the hull was exposed, the fisherman worked like fury to get the work done before the tide came back in and the boat (if it was ready to go and didn’t need another low tide to complete the work) could be floated off the grid and back into deeper water. The next fancier way of getting the boat out of the water was with a cradle that the boat floated into at high tide. The cradle of heavy timbers with the boat tied on so it leaned slightly to one side, was then winched out of the water along a set of railroad tracks that went from the beach into the water. This is the kind of set-up Andrea was working in when she helped Jim powerwash his boat. I hope you enjoy this excerpt from The Wind Weeps. I held the nozzle at the distance he had shown me and began to wash the far side of the hull. Sticky, stinky copper spray flew everywhere. As I glanced down and saw the condition of the coveralls, I realized what Monique had been talking about when she’d told me I’d have to throw away my clothes after doing this job. I concentrated on the planks and cleaned them one by one. I felt all-powerful. Barnacles, mussels, and green slime—gone with one pass of my magic wand. A long lump was sticking out between two of the planks and I held the nozzle a little closer to get it out. Just a quick zap. Didn’t want to put a hole in the wood. The lump was a bit stubborn so I gave it another quick zap. And another, and another. At last it was starting to come off. God! It was a long one. Must be one of those teredos Jim was talking about. Well, he’d be glad I found it and got it out of there. I blasted it the whole length of the plank until a long piece of it plopped onto the ground. I laid down the wand. “Jim! Come see this. Get a load of this teredo I found.” Since I had gloves on I didn’t mind picking it up to show him. When he came around to my side, I held it up and he looked shocked, just like I figured he would. “Right here.” I pointed to the space between two planks. “B-b-but I had to get it out of there.” A stab of fear went through me. “I don’t understand.” I could feel tears welling up. I blinked hard so they wouldn’t spill, but it was useless. “This is the caulking between the planks. It stops the water from getting in. Oh, Jeezus!” He threw down his wrench and stomped off in the direction of the shop. I sat down on the retaining wall and stared at my boots. No, not my boots—Jim’s. My chin quavered as I fought to hold back more tears. I clasped my hands together between my knees and wondered what to do next. Should I get out of these coveralls and go home? No. I wasn’t a quitter. I had really messed up, but I had to make it better or I’d never live it down. 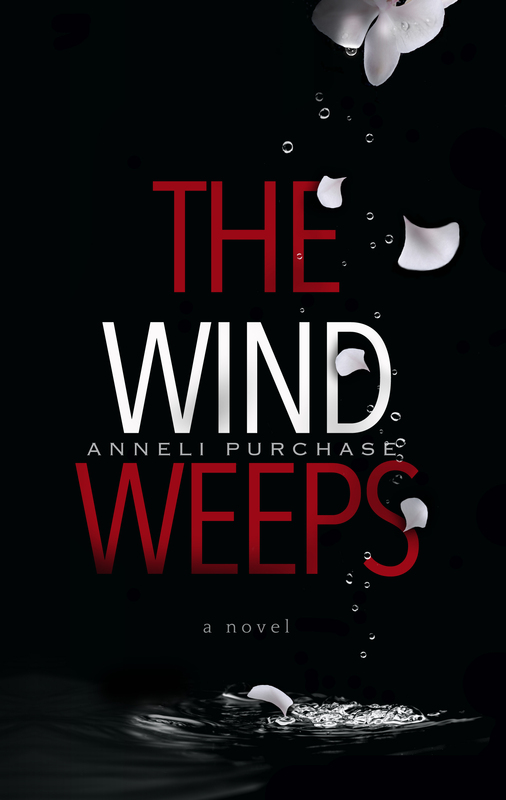 Don’t forget, the e-book of The Wind Weeps is free. Just click on the book cover image at the side of the page if you’re interested. The sequel, Reckoning Tide, is available on amazon. But on with the haulouts. It gets much better and more modern now. At some shipyards they have Travel Lifts that can lift a boat right out of the water and drive it over to a spot on the parking lot. How cool is that!? You see how the bottom of the boat isn’t sitting on the blocks of wood anymore? That tells us that the boat is ready to be put back in the water. Also, the hull has been copper painted (to deter those teredos and barnacles and seaweed from latching on), and the hull above the waterline has been spot primed, ready for painting at the wharf in the days to come. Obviously, the sun hadn’t co-operated for the painting to be completed on the top part of the boat, and the time was spent on the very necessary jobs on the lower parts. While the boat is “parked” in the lot and is being worked on, the Travel Lift does not stay wrapped around the boat. It has other boats to lift out and put back into the water in the meantime. Smile! I think the skipper is taking a picture of you! Soon the lazy trip north is over and the hard work begins. You can see that he’s into fish because those seagulls only follow if there are fish guts being tossed overboard. And then, there’s the competition! Categories: B.C. coast, Bears, boat, Books, British Columbia, Canada, Commercial fishing, Fishing, northern B.C., Outdoor Activities, Queen Charlotte Islands, Seagulls, Spring, Summer, Vancouver Island, West Coast Canada, Writing | Tags: fisherman, haulout, shipyard, teredo, travel lift | Permalink.